Discover the who's who of omnichannel. The birth of omnichannel has led to a revolution in the digital marketing world. Marketers have long since known about the advantages and effectiveness of omnichannel’s success; putting it in to practice has been challenging. Juxtapose that with the expectation of today’s consumer that every brand interaction be seamless. So, let’s define what omnichannel really means. Omnichannel is about delivering a consistent and cohesive customer experience via any channel the customer chooses. Take Domino’s, for example. The pizza you’ve ordered needs to taste, look and smell the same whether it was ordered online, through an app or in store. Similarly, the product needs to be consistent – whether it’s collected in store or delivered by one of Domino’s’ drivers. Let’s take a look at the companies we believe are winning over consumers by going truly omnichannel. Domino’s receives most of its orders on digital channels and is now classed less as a restaurant and more as an ecommerce company. Domino’s operates 14,000 stores in more than 85 countries around the world and gets more than 50 percent of its sales through digital channels — with half of those coming from mobile. Domino’s succeeds in an on-demand world by adapting to consumer behavior. Ordering pizzas with emojis and voice commands are not just a ploy – voice-related searches and the use of emojis reflect how people are interacting with each other and with brands in the post-digital age. CEO Patrick Doyle challenged the company’s Information Technology team to “make it so a customer could order a pizza while waiting for a stoplight”, as he understood that mobile was, and remains, ingrained in this kind of behavior. You can also order Domino’s pizzas through an increasing number of channels and devices which go beyond Twitter and the Amazon Echo. These include apps, Facebook messenger, Apple Watch and smart televisions. Domino’s is a great example of creating the right experience for the consumer, channel and device. Recent studies (McKinsey Research and Harvard Business Review) have shown that customers who use more than one channel spend more and have a higher lifetime value than those customers who use fewer channels. It has taken several years for bricks and mortar and digital to become truly integrated in retail but finally, we are seeing mobile, desktop and in-store shopping coalesce. The growth of apps has also empowered shoppers to locate items, check availability, take advantage of offers, promotions and vouchers and participate in loyalty schemes more easily and conveniently. 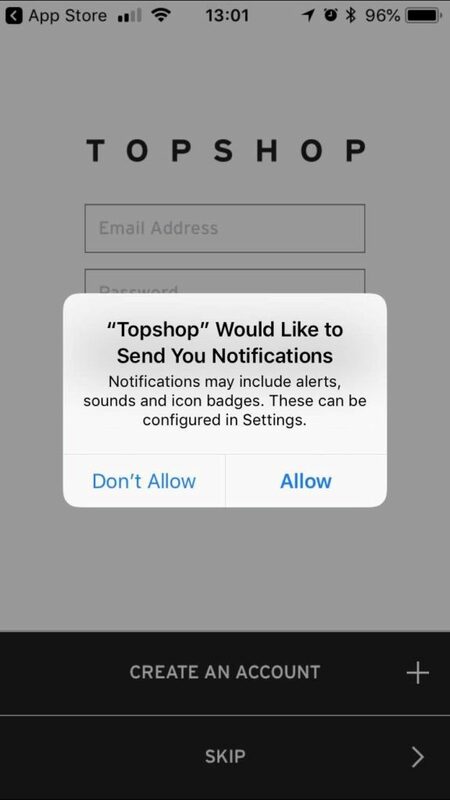 Topshop’s ‘On the go’ app creates a seamless experience between physical and digital worlds – a barcode scanner that links users to nearby store locations and highlights its available stock. Asthma UK runs a 12-week asthma support programme using dotmailer’s automation studio to send a mix of email and SMS content to send free, personalized advice to motivate patients to manage their asthma well. Patients need to be qualified by Asthma UK by reviewing a patient’s answer to a short 8 question eligibility questionnaire to gain access to the content of the program, which was designed and developed by asthma clinicians and health psychology experts. What really works for this program is how Asthma UK utilizes long-form content within email to deliver useful and key pieces of information. Plus, the non-profit also leverages SMS to deliver short-form content to manage expectations for what’s coming next. For example: ‘Look out for your first email tomorrow’. Or, you could drive traffic to vital pieces of content, i.e. : ‘if you haven’t watched our welcome video, why not watch it now <insert link>’. As this program is ongoing, Asthma UK utilizes a test-and-learn approach with all its emails. This allows subscribers to respond to the usefulness of the content at the bottom of their email, as well as a post-program questionnaire to gain valuable feedback. Check out Asthma UK’s winning entries for this year’s dotties: the charity won the non-profit and omnichannel campaign categories. Starbucks is at the top of its game with omnichannel right now, and it comes as no surprise, with over 28,000 stores worldwide and approximately 15 million active members of its loyalty program. What makes Starbucks so great with omnichannel? You can use its mobile app to place an order and pay ahead of arriving at one of its bricks-and-mortar stores. After placing the order, the app suggests nearby Starbucks stores and lets you know the estimated wait time for your order at each one. No more bun fights in a morning on your way to the office! When you’ve selected which store to collect your coffee, it gives you directions to get there. 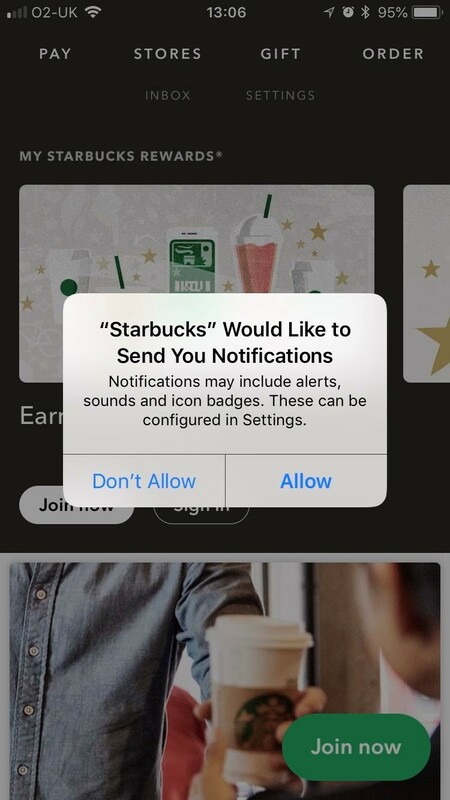 You can pay for said coffee using the Starbucks card and can check the balance anywhere, at any time, using either your phone, the app, the website or in store. This is a great example of how to leverage your customers’ devices and your own channels for a better experience. Oasis is at the leading edge of omnichannel, using its ecommerce site, mobile app and brick-and-mortar stores in to one simple, seamless shopping experience. If you take a visit to one of its stores, you’re greeted with sales assistants holding iPads that are available to give you up-to-date, accurate and on-the-spot product information. This iPad also acts as a cash register, making it more convenient to purchase your product/s. If it appears that something is out of stock, the staff can instantly place an online order for you to have the item delivered direct to your home address. For online shoppers, if an item is sold out then customers can also use their ‘Seek & Send’ service. Overall, Oasis provides a well-managed experience that reduces the lines between online and offline. The brand endeavours to get that sale, no matter what channel is used, and without being pushy and demanding too much attention from the customer. Develop an omnichannel location data strategy. Once you understand every touch point your customer uses, ensure that your brand is visible on each one through location data. Understand your customer’s omnichannel journey. Examine the entire journey your customer takes from home to store. Understanding your customer’s omnichannel journey will require you to employ tools such as journey maps, which designers use to research and depict the customer experience journey. Create next moments appropriate for each channel. As I mentioned in this article a “next moment” is the action that occurs after someone finds your brand through a search. The next moment needs to maximize and capitalize on the unique attributes of each channel and device (e.g. highly visual content for Instagram). In short: more connected channels = more revenue. Want to discover omnichannel in more detail? Download our whitepaper here.